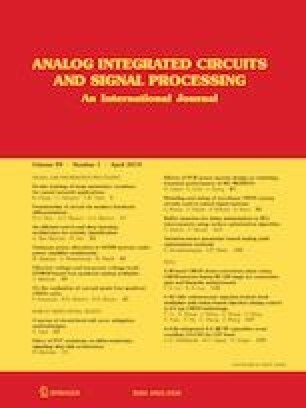 This study focused on the design principle and implementation of a high-frequency, wide-range frequency synthesizer by using a dual control path phase-lock loop (PLL) and a varactorless oscillator controlled by inductive–capacitive (LC-type) voltage (i.e., a voltage-controlled oscillator, VCO). Without a varactor in the LC tank, the tuned-transducer oscillator with Q-enhanced functionality can easily arrive at the requirements of high-frequency wide-range low-noise operations. We utilized a difference tuned varactorless VCO to create two different KVCOs and applied it to a dual control path PLL architecture to obtain wide tuning range and more favorable phase noise. In addition, a high-speed current-mode logic divider was employed given its high speed (because of the use of a transformer inductor), extremely high operation frequency, and wide-range. The proposed PLL was assembled using the standard 0.13-μm CMOS technology on a 0.95 × 1.05 mm2 chip. The PLL dissipated 40 mW at a 1.2 V supply. The measurement of phase noise at 17.64 GHz was − 98.12 dBc/Hz at a 1 MHz offset. This study was supported by Tunghai University, Taiwan, R.O.C. The author would like to thank the National Chip Implementation Center (CIC), Taiwan, R.O.C., for fabricating the chip. This study was also supported by the Ministry of Science and Technology (MOST 106-2221-E-029-028), Taiwan, R.O.C. The study was funded by the Ministry of Science and Technology (Grant Number MOST 106-2221-E-029-028), Taiwan, R.O.C. There were not any human participants and/or animals in the study. There were not any informed consent in the study.